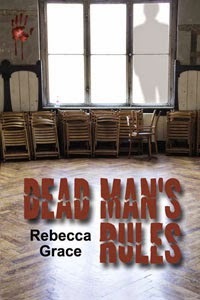 Cozy mystery novels have long been among my favorite reading material, and it's always fun to find a new series to follow. Today's guest in My Writing Corner is author LeeAnn Betts, who writes cozy mystery novels, while her real life persona, Donna Schlacter, writes historical suspense. 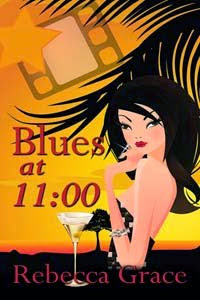 LeeAnn has released five titles in her cozy mystery series, By the Numbers. 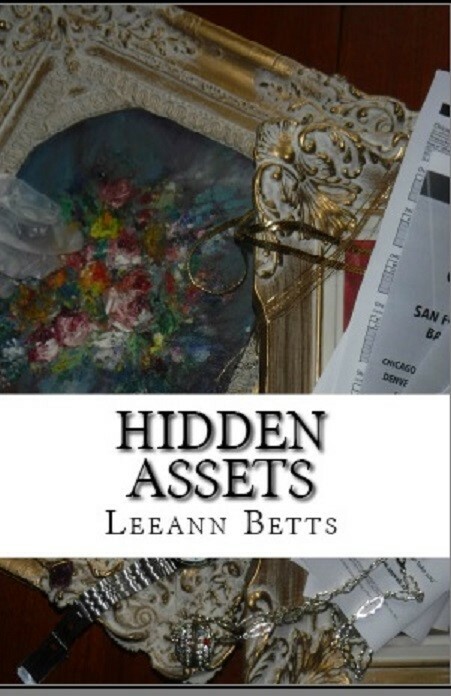 Her latest book, Hidden Assets, was released in June and it sounds like just the right title to end the summer reading season. Let's have a look at Hidden Assets. Carly Turnquist, forensic accountant, responds to a call from her friend, Anne, who is in the middle of a nasty divorce, and travels to Wyoming to help find assets Anne thinks her husband has stolen. But the mystery begins before Carly even arrives when she sees a man thrown off a train. Except there’s no body. Husband Mike uncovers an illegal scam in a computer program he has been asked to upgrade, and then Anne is arrested for her ex’s murder. Can Carly figure out what’s going on, and why a strange couple is digging in Anne’s basement? Or will she disappear along with the artwork, coins, and money? She turned back and breathed in the smells and sights of the train. Diesel. Squealing brakes. The smell of hot metal. Cool evening air. Apparently, May in Wyoming wasn’t as warm as May in Bear Cove. And as the train settled to a halt, the hissing of steam, the groaning of metal coming to rest. Faint at first, then building in volume, metal wheels on metal tracks drew closer. A train horn, low and mournful, recognizable anywhere, sounded from behind her train. And then the westbound express streamed past. In one of the passenger cars, a small boy waved at her, and she waved back. In another, somebody pulled down the blind. In yet another, two men struggled on an open platform between two cars before one fell over backwards on the opposite side of the train. The remaining man peered over as he gripped the ladder leading to the roof of the car, then adjusted his jacket and stepped back inside the car. She gasped. And blinked. And craned her neck to look at the train passing by again. Had she seen what she thought she saw? Surely her overactive imagination was simply playing tricks on her. And if not, somebody would raise the alarm and stop the express train. But the final car passed her, and all she saw were the tracks, glinting dully in the moonlight, and a foot, propped at an odd angle, the rest of the body out of sight on the slope running down and away from the track bed. The diesel engines on her train revved and moaned with the effort of starting their forward momentum again, until finally the wheels beneath her spun, gathering speed, and her train pulled out onto the main track once more. Hurry, hurry. Catch up with it! Her mind screamed, but her body froze in place, her fingers gripping the bottom ledge of the window. Her heart pounded in rhythm with the powerful diesel engine pushing and pulling her train. For several moments, she was certain she would faint. But she was not the fainting type. She was the action type. She glanced from left to right, hoping Mike had come back looking for her. But no, he wouldn’t. He couldn’t have been gone more than three or four minutes. He’d think she was still trying to decide which book to buy. She stepped into the gift car. Maybe if she changed her surroundings, she’d realize her imagination had almost run away with her. Because otherwise, what she’d seen was too horrible to even consider. To throw a man like a piece of trash off a fast-moving train was unthinkable. She needed to find someone to help her understand what had happened. Because otherwise, that reality was just too much to consider. 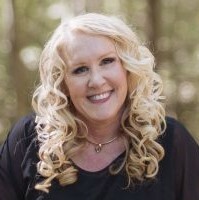 If you would like more information on Leeann or Donna, she has written a devotional for accountants, bookkeepers, and financial folk, Counting the Days, and with her real-life persona, Donna Schlachter, has published a book on writing, Nuggets of Writing Gold, a compilation of essays, articles, and exercises on the craft. She publishes a free quarterly newsletter that includes a book review and articles on writing and books of interest to readers and writers. You can subscribe at www.LeeannBetts.com or follow Leeann at www.AllBettsAreOff.wordpress.com All books are available on Amazon.com in digital and print, and at Smashwords.com in digital format. Thanks, Leeann/Donna for being my guest today! Any questions or comments? Some times things just need to change. 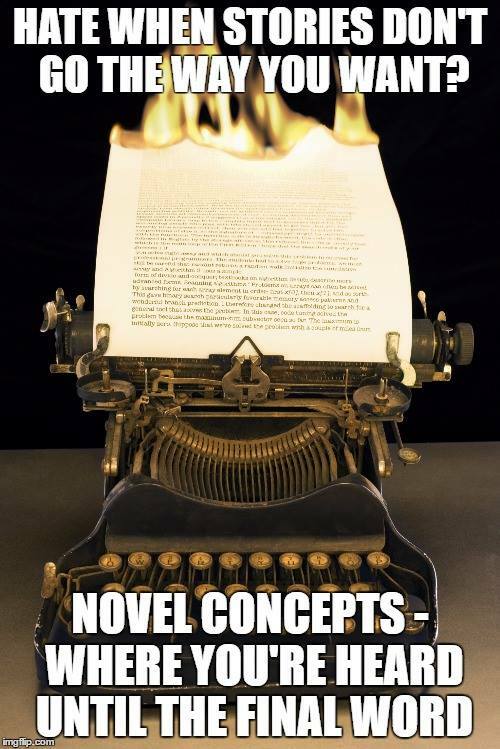 We get an idea into our heads and we’re convinced that it’s a great idea or plan, but sometimes as a writer you go off in the wrong direction without even realizing it. Sometimes we just need to look at life a little differently. Have you ever picked up that book at a bookstore or on the fly thinking it was just what you wanted to read because of what was on the jacket or the cover? Have you ever found out later you were dead wrong? I know I have. This can happen in our own writing too, or in our own decisions as we chose a book cover for our own work. Today instead of focusing on an author or a new book, I am going to focus on a different look for some writing books that have been around for a while and why as the author you really do need to pay attention to that book cover design. Several years ago I began writing a series of how-to books with fellow author and critique partner Sue Viders. We have critiqued each other’s books and often taught classes together. We were co-authors of a book on creating characters with two others authors. 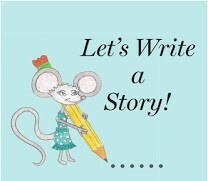 Last year we began publishing a series called, Let’s Write A Story. 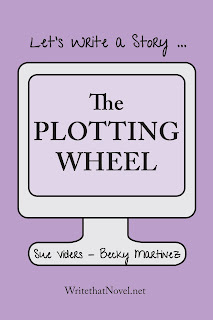 Our first book, Seven Ways to Plot was published in the fall, followed several months later by Creating Characters. After much discussion, we agreed on a logo featuring Dottie, the Writing Mouse, and she soon adorned our covers on our first two books. A mouse with a message. Unfortunately, I discovered at several book signings that Dottie was also misleading. People do JUDGE books by their cover. She was giving readers and shoppers the wrong idea about our educational book. At one signing session at a library, I kept getting questions about whether our book was a children’s story and at another I got questions about what kind of adventures Dottie took part in, or how old the children had to be to read Dottie's book. Obviously we had people wanting Dottie for a different reason than we intended. NO one seemed to grasp that she was around to help someone learn to write. She wasn’t on the cover to alert anyone to her upcoming adventures, unless you want to talk about plotting an adventure or creating an adventurous character. So after some soul searching and sadness, Dottie is now gone. She has been relegated to a holding pattern and we have removed her from the cover of our books. We are giving them a whole new look and hopefully a whole new feel. 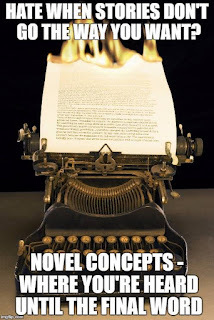 The writing books are the same – step by step guides aimed at helping beginning or intermediate authors come up with wonderful characters or learn the best way for them to plot their next or first novel. 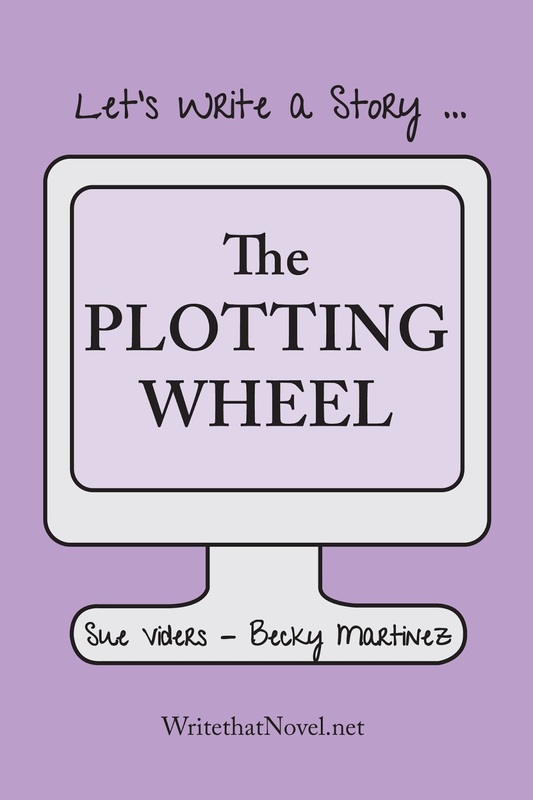 Our next book in the series is coming soon, The Plotting Wheel, providing a proven method that can help any writer develop a cohesive plot in 12 easy steps. We’ve taught the class online for several years and writers who follow all the steps can have a plot by the end of the course or the end of this book. So while Dottie has taken a step back among the bookshelves, and the look is new, the information still stands. Sometimes you need to take that step back, give your work a good hard look, and then make changes when necessary. Alas, sometimes people (or readers) still do judge a book by its cover. We hope you like the new look. And we’re hard at work on the next book in the Let’s Write a Story series – Creating Great Villains. Perhaps if we ever get around to writing a book on writing children's stories or on a mouse with plenty of writing adventures we can bring Dottie back. All the books are or will soon be available on Amazon in both Kindle and print form. What do you do when you have a writing assignment and you have ABSOLUTELY no idea what to do? Well, may a little bit of an idea. You have been given a direction, but what you do and how you do it is totally up to you. It shouldn't be a problem -- I've been assigned stories many times as a journalist and even had to come up with most of my own ideas when writing fiction or non-fiction. But this week provides an entirely different concept. I need to find nearly one thousand words and they better be good. The other writers have been telling a wonderful reunion story filled with twists and turns determined by readers. That's a great challenge because we have no clue what we are going to write until that moment when the final vote is cast on which way the story should go. The story is a reunion story about college friends and it should be so easy for me to write -- considering this weekend I will again have a reunion with three close college friends. We met in my third year of college and we have now been together off and on for 45+ years. Yes, 45 years. We have been through so much fun, pain and enjoyment. 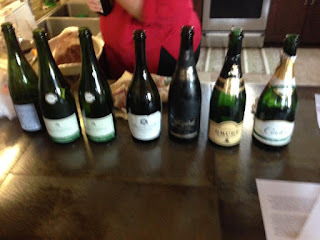 And while our jobs and now our retirements keep us in separate towns and often different states, we still manage to get together at least once or twice a year to drink champagne, eat great dinners, argue, discuss politics and remember those who are no longer with us. We've toured wineries, visited museums, taken train trips together, or just gone to movies and played crazy word games. 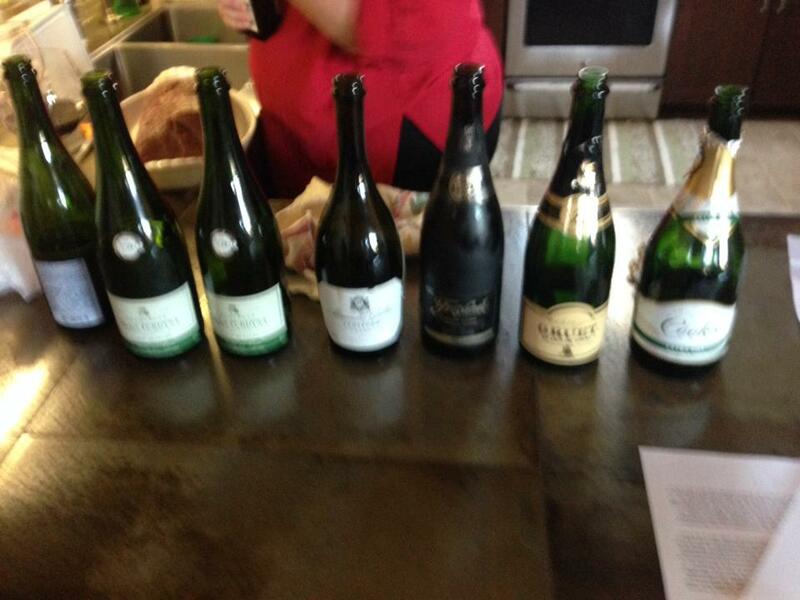 We even had to have our own champagne tasting party. We've had 40+ years of friendship. Celebrated at weddings, endured funerals. Forty plus years of joy and pain. Yes, some relationships can last that long. I'd post pictures, but some are camera shy and the relationship might finally come to and end. We still always seem to find something new to try. This weekend we are all taking in our first major league baseball game together. One final thing -- I often even get story ideas from them. In fact, I think I will throw open my story dilemma from this week out to them. After all, we can always use help with another reunion story. In the meantime, please join me next Monday at Novel Concepts to see what new turn the story of Lana and her friends take. We've reached those lazy days of summer where many people are taking time off for vacation and of course that means needing some great reading material. 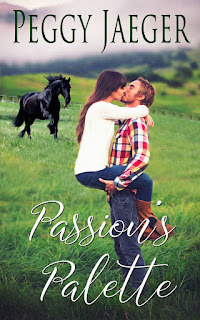 I'm always looking for something exciting and new to read and often that means I go looking for the latest releases by some of my favorite authors -- writers like Peggy Jaegar. 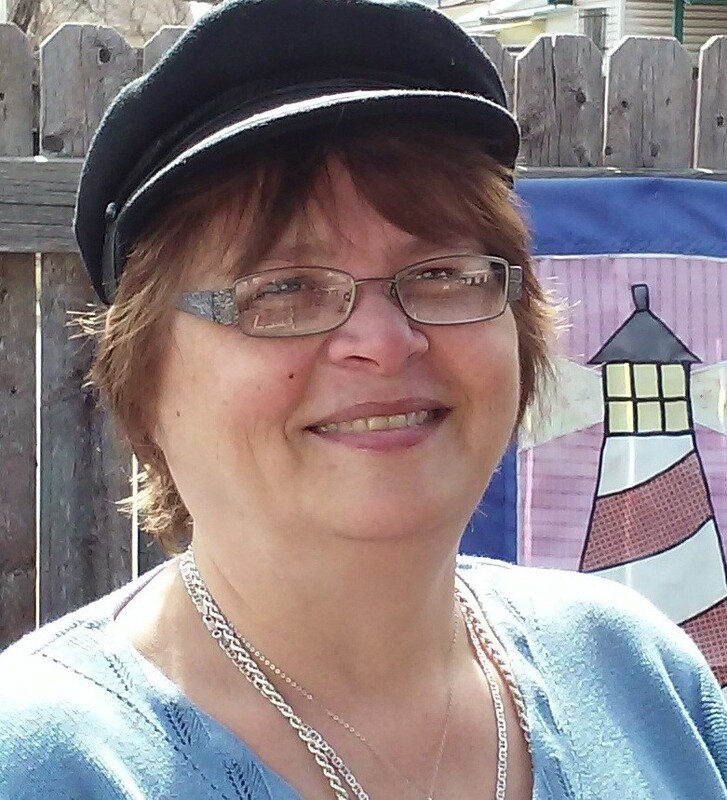 She is a romance writer who says she loves writing about strong women, the families who support them and the men who can't live without them. According to Peg's biography, family and food play huge roles in her stories because she believes there is nothing that holds a family structure together like sharing a meal or two or more. Her stories are filled with humor and great characters. She says she likes to write romance because she wants everyone to find their own happily ever after. Growing up the only child of divorced parents she says she longed for a family and that she now enjoys creating that sort of family through her books. Her latest work is Passion's Palette. But Seamus Cleary isn't just any man. After he left his professional football career to become a veterinarian, his bitter wife ended their marriage. Now, as he starts his life over in a new town, love is the last thing he's looking for. The more he tends to Serena's horses, though, the more he realizes her own heart needs tender care and healing as well. With a hip resting against the tabletop, he browsed through her paints and brushes, lifting one color pot, then another. "So. You’re an artist." As he opened and closed the pots, Serena observed his hands, silently assessing the length and width of his fingers. Her mind registered the dexterous movements of each action, the deliberate, studied way his hands performed each task. His eyebrows rose. "This is pretty big equipment for a portrait. Where do your pictures hang? In castles?" "Three do,” she told him, charmed when his neck reddened. “But this stuff will be for a mural I've been commissioned to do for a hospital." His eyebrows lifted. "Impressive. You must be good." Allowing a smidgeon of playfulness to creep into her voice, Serena gave him a shrug that rivaled his own. "Better than some. Not as good as others." He returned her smile with one of his own. Sounds like good reading for the summer! Here are the buy links and info to contact Peg. Thanks Peg for being my guest. Any comments or questions for Peg? 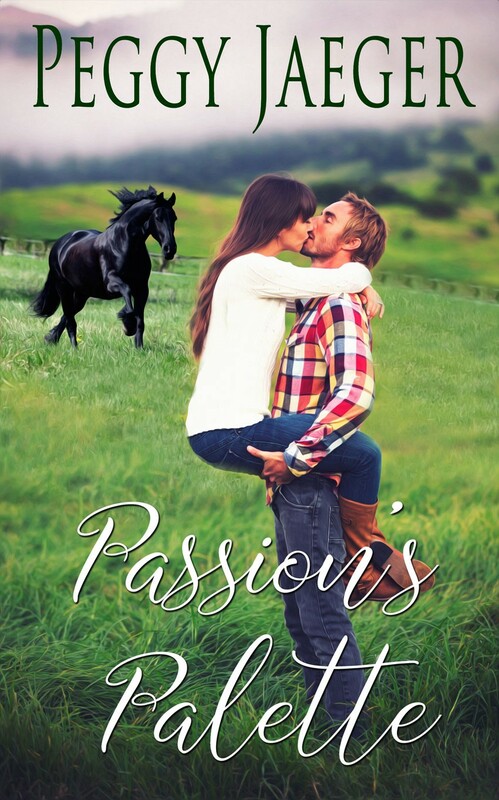 As a reader I am always on the look out for new romances to read and as a fiction and non-fiction writer I always enjoy discovering different authors and learning their personal stories. 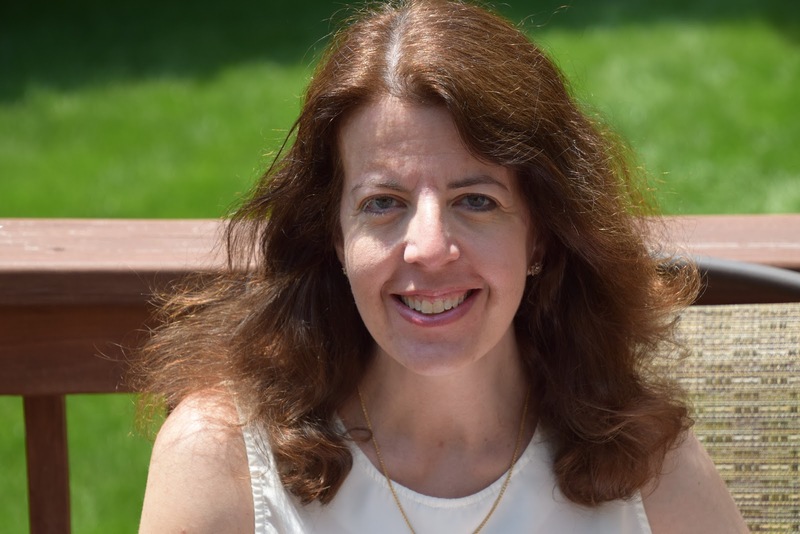 Today's guest in My Writing Corner is Jennifer Wilck, who has a new book out and another one coming soon. Jennifer, when did you realize you wanted to become a writer? I’ve always wanted to be a writer—I have several in my family, so it was always demonstrated as a viable dream—but I never felt confident enough to pursue it, at least, not for a long time. When I was little, my mom used to encourage me to make up stories in order to help me fall asleep. We were always big readers and as a teen, I was given journals to record my thoughts. Ultimately, I started writing “for real” when my oldest was about six. Please tell us about your road to publication or how you got published. My first book was published in 2011. I wrote while my kids were sleeping and when my manuscript was finished, I joined RWA, submitted to contests and queried publishers. Eventually, I found a small publisher who was interested in my work and published two books with them. Since then, I’ve worked with multiple publishers and an agent, but I’ve always had my eye on The Wild Rose Press, having heard great things about them from a variety of writer friends. After working with some fabulous critique partners and honing my craft—a never-ending process—I submitted to TWRP and was lucky enough to have them accept my manuscripts. My first book with them, Addicted to Love, was published on July 21 and my second, In the Moment, will be released on September 1. I usually get characters that pop into my head and annoy me with conversations until I can write them down. At that point, I let the words sit unless I’m inspired to keep going. If I am, I see how far I can go, how much I can flesh out, and what other ideas come to me. If I can get 5,000-10,000 words going, I suspect I have a story and then I buckle down and put it together. Plus, I have an excellent critique partner who is amazing at helping me with the plot. Tell us about your latest book. Where did you get the idea for it? Well, for Addicted to Love, I was actually watching House of Cards, which doesn’t really seem like it’s a good inspiration for a romance, since it’s a dark, political drama. But there was one secondary character who intrigued me and got my mind spinning—what would happen if he did this, if he fell in love, if he that happened? He became the inspiration for the hero in my story, Dan, a former painkiller addict who is a widower raising his daughter and exerts control on all aspects of his life so he doesn’t make any mistakes. Then I came up with Hannah, the heroine, who lives with her grandmother and has a brother who was addicted to hard drugs and wants nothing to do with anyone like that—hello conflict! The two characters have great chemistry together and a teenaged daughter and a meddlesome grandmother provide a lot of comic relief. What do you like best about your characters in this book? I love the banter. Hannah is able to find the humor in most situations, which helps Dan to lighten up and enjoy spending time with her, even if he is nervous about her finding out his secret. As the mom of two teenaged girls, I was able to use a lot of my girls’ reactions and outlook to make the teenaged daughter in the story realistic yet fun, especially when it comes to her opinions of her dad dating. And the grandma is a great combination of matchmaker, love and great cooking. So even though there is a serious thread in the book, the majority of the story showcases the humor and hot chemistry between the characters, with a little awkwardness thrown in to make life interesting. Do you always know how your story is going to end when you start writing? I usually know the black moment because that’s often one of the scenes that pop into my head initially. And since it’s a romance, I know they’re going to live happily ever after. So then it’s just a question of figuring out how to get them to and out of the black moment. Write what you’re passionate about, don’t be afraid of criticism, but don’t automatically assume that every critic is absolutely right. Be objective. Step away from your writing for a while and then come back to it. Remove the “personal offense” from what others say and see if their changes make your story better. And never give up! Thank you, Jennifer, for being my guest. Any comments or questions for Jennifer?